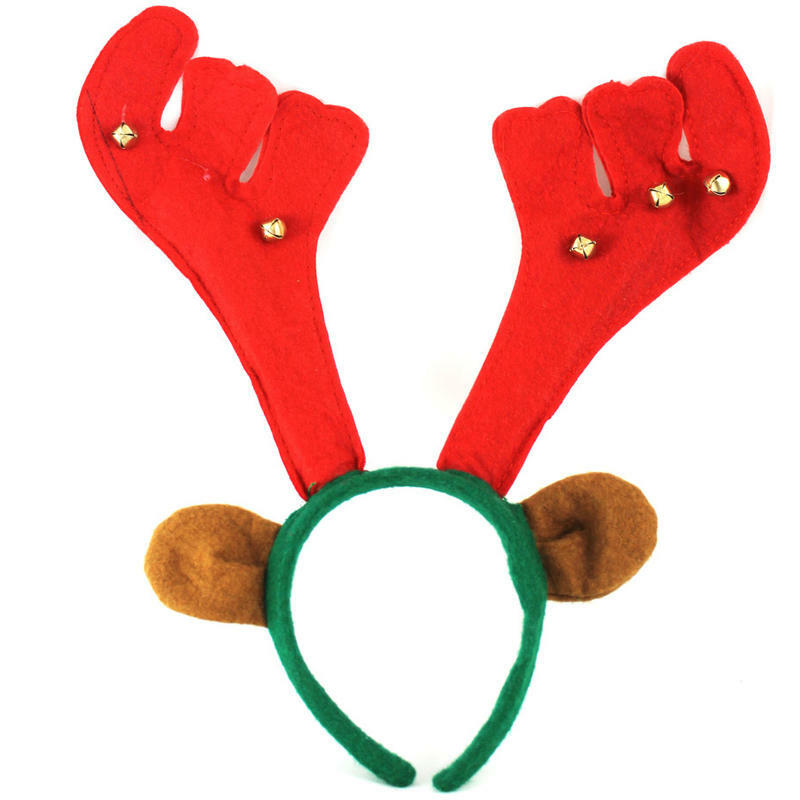 This clever little item encompasses three distinct sights and sounds of the season- the Antlers Bells Ears is a simple green headband that is secured with two brown felt reindeer ears, and a pair of soft, plush red antlers. Affixed to each antler are tiny gold jingle-bells, adding their sweet sound to the comical ensemble. Measuring around 28cm wide by 33cm in height, this fun and festive piece is perfect to wear to an office party, or to simply wear when handing out gifts on Christmas morning. This might also be the perfect solution for gift-giving ideas that are enjoyed and within budget. The headband fits a wide range of heads, from youth to adult, so it is always appreciated and worn. Enjoy the fun moments of the holiday, and give loved ones a laugh this year.